Now and then we release a collectable figure. These figures are free. 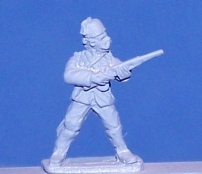 In the past we have done a Colonel for the Sudan, pig headed figure, company commander and others. Each figure is designed to be used with PP games. Each figure can be had once by each customer. At the rate of 1 figure per order . So you can collect them all, but one at a time. Figure will be sent out when an order is made. Customer requests a figure by applying the purchase option. All figures are limited edition in that we will run out at some time. 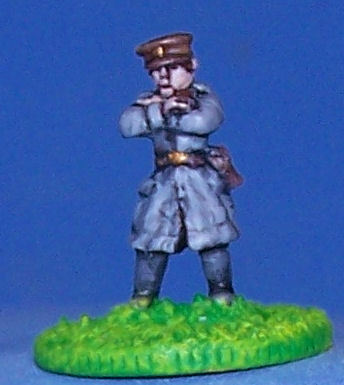 This figure commemorates the great wargamer Andy Gittins. Andy was a UK gamer who was always a motivator and “joiner in”. June 2015. This figure is to mark the release of the latest version of PBI called “Company Commander”. 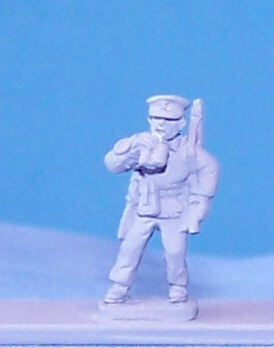 The figure is generic and can be used for most WW2 nations. He is intended to be used as a company commander in PBI. 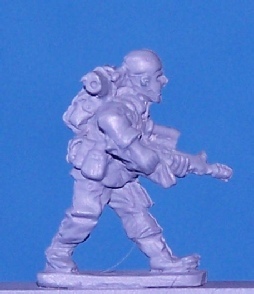 This figure is automatically sent with order of PBI rule book. This figure represents a British officer in fez and armed with a shotgun. He also has a moustache which will ensure success? He makes a good commander for a gunboat or infantry column. 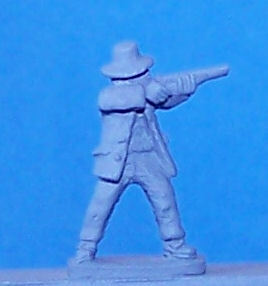 This figure is a 1980s “independent” He is part of action group “Rome”. He can be used in AK47 games as a leader. This figure is for Square Bashing day 2018. It will be available in due course to all customers ,but is specifically for players at the square bashing day. 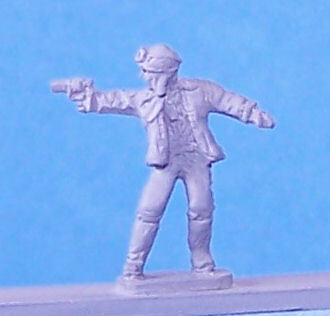 Collectable figure from the PP Western day July 2018. This experience gunfighter is using a shotgun for better close range effect.